We Effect in Southern Africa has a new Regional Director. Maria Schultz joined the organisation on September 1. We welcome Maria and ask her three questions to get to know her better. According to you, what role does agriculture and rural development play in the fight against poverty? “In the Southern Africa region, the majority of the people get their livelihood from agriculture. Maria Schultz with her 5 months old puppy Carrot. Photo: Malin von Strauss. In what way would you say gender equality is important for sustainable development? “Gender equality is very important not only because it is a rights issue, but also since women tend to spend the income on the household and the children – which contributes to sustainable development. What are your hopes for We Effect’s work in the region? “I have now visited almost every corner of where We Effect is working in the region and spent a lot of time in the field – and I am very impressed with our work. For example the agroforestry approach, the savings clubs, and the cooperative banking systems within Malawi Lake Basin Programme. And the nutrition programme in Niassa province, in northern Mozambique. Nearly 50 percent of all children up to five, suffers from malnutrition in Mozambique. Our colleagues and partners work with diversifying foods, gardening, trainings in nutritious cooking, and measuring the children. I believe we have an important task to contribute to healthy and nutritious livelihoods and resilience, both on a social level and for the ecosystem – so that the soil can produce food also for coming generations. Before joining We Effect, Maria worked as head of the Sida* funded SwedBio programme, as well as head of policy at Stockholm Resilience Centre. 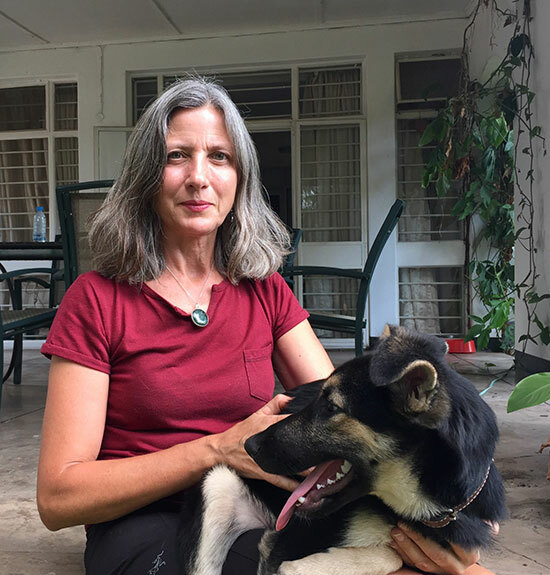 Prior to that she has worked at Sida, the Ministry of Environment, and as head of the international programme of the Swedish Society for Nature Conservation. Maria has also negotiated international environmental conventions for Sweden. *Sida is the Swedish International Development Cooperation Agency.